Timbertown has a fantastic team of ten bullocks. Currently a new bullocky is working on a new direction for the team to complement the Timbertown working village. 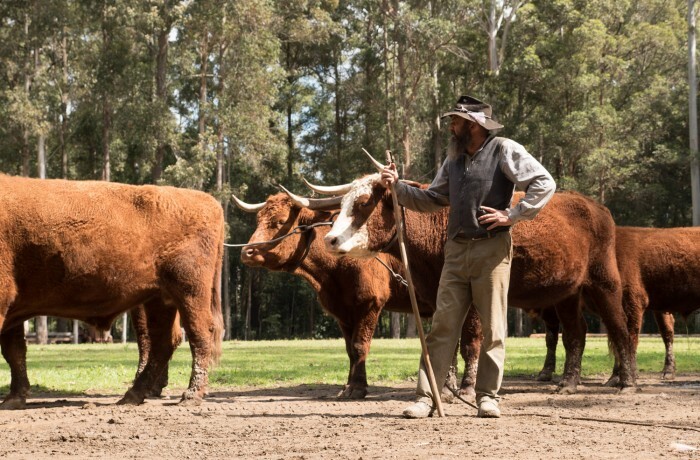 In these parts we say “Australia was built of the back of the bullock teams” as bullock teams and their drivers played a major part in building the Australia. PLEASE NOTE OUR BULLOCK TEAM DOES NOT CURRENTLY OPERATE DAILY..
We hope to bring you a dynamic new team and driver very soon, the team can be seen in the park.